Nick Cave has quite a background. He has worked professionally as a high-fashion clothing designer, danced with the Alvin Ailey American Dance Theatre, and most recently developed an international following as an artist. Since joining the faculty of the Art Institute of Chicago, Cave has built a reputation as an educator as well as a performance artist. As an artist, he is best known for his life-sized costumes he calls "soundsuits." These pieces are both beautiful and conceptual. 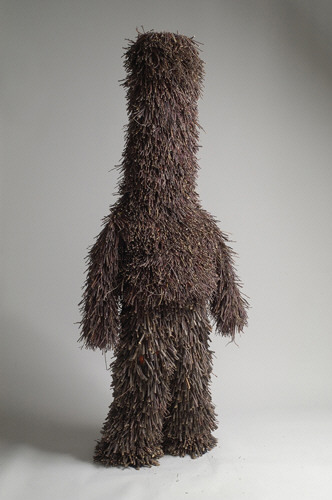 Cave's experience in clothing design allows him to work with non-traditional materials such as twigs, mirrors, plastic, hair, and metal as well as fabrics to create his soundsuits. The construction of each piece is a direct response to being a black male in America, referencing Cave's feelings about the isolation he has felt due to race discrimination. Most of the costumes shield the entire body, creating a disguise. Several of the pieces are designed to rattle and resonate when worn in a performance, a clear reference to African tribal costumes. 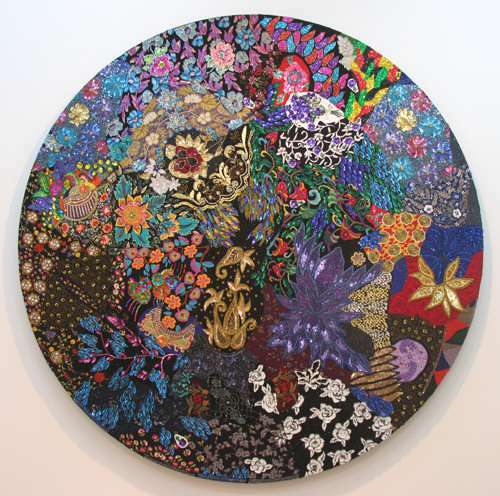 He also utilizies his knowledge of textiles and sewing to create large-scale wall pieces made of fabric, encrusted with colorful beads and sequins. 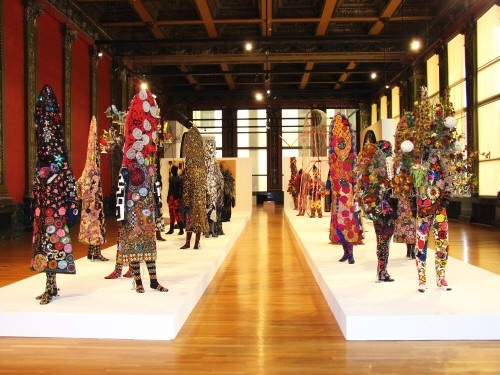 Some of Nick Cave's solo shows include the Museum of Contemporary Art in Jacksonville, FL; the Yerba Buena Center for the Arts, San Francisco, CA; and the Studio Museum in Harlem, NYC. International shows include the Museum of Contemporary Canadian Art, Toronto; the Zacheta National Gallery of Art, Warsaw, Poland; and the Netherlands Textile Museum. Institutions that own Cave's work include the Portland Art Museum, Oregon; the Pennsylvania Academy of Fine Art, Philadelphia; The Nerman Museum, Kansas; High Museum of Art, Atlanta, GA; and the Seattle Art Museum. Nick Cave's work is in great demand. The number of museums interested in showing and owning his Soundsuits is well into double digits. Wall pieces and Soundsuits are available but his next New York show is not until late 2008. Although interest in Cave's work has been growing rapidly we think his prices are fair and likely to go higher. 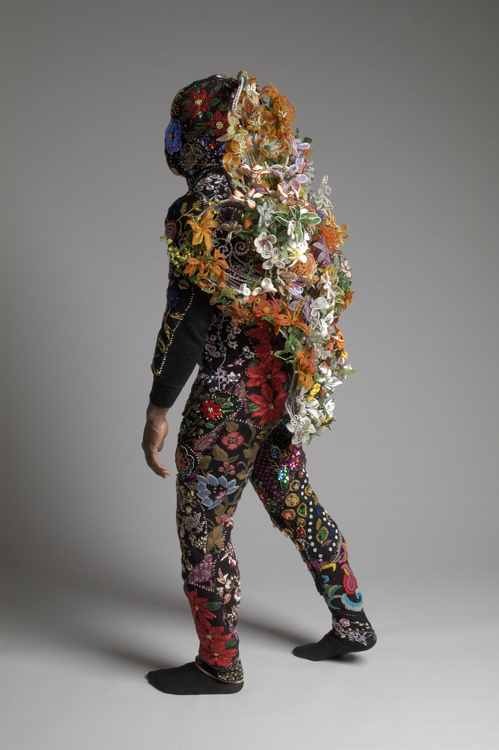 We don't know of another artist doing anything quite like his Soundsuits. Currently the Soundsuits are $35,000-$40,000 and his wall pieces are approximately the same price. We believe he has the potential to make an even more significant impact on the art scene than what he has already accomplished.